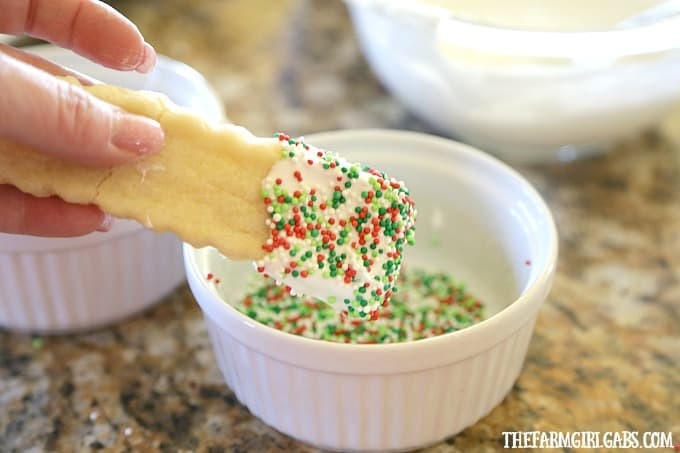 These easy Dipped Sugar Cookie Sticks are a must in my holiday cookie repertoire. 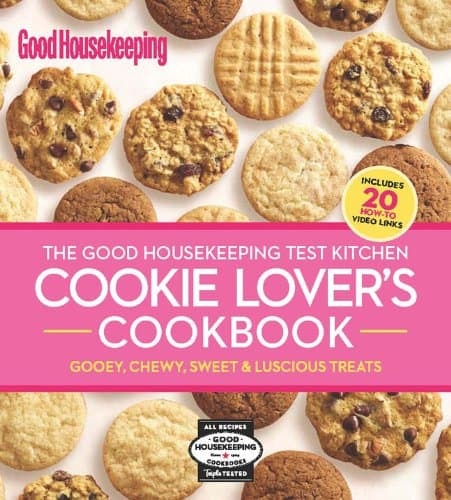 Plus check out these six cookie cookbooks to help your holiday baking. The holiday season has my kitchen working overtime. I feel like I have been living in the kitchen since Thanksgiving. But I love it. This is my favorite time of year. From the decorating to the gift buying to the baking, things get pretty hectic this time of year for most of us. But knowing that family and friends will celebrate together makes it all worthwhile. Food is the center of all celebrations in our house. 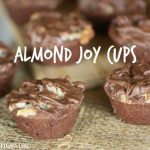 My sweet tooth definitely is satisfied during the holidays season. 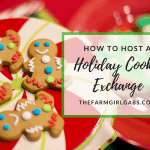 While I did make a promise to myself this year to cut back the amount of cookies I make, one cookie that will not end up on the chopping block is the classic sugar cookie. I have a serious love affair with sugar cookies. The rich buttery taste and the festive fancy shapes are so darn wonderful! 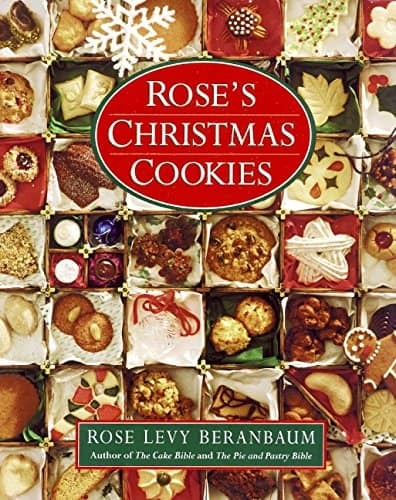 You can skip the fancy Christmas cookie cutters for this recipe. 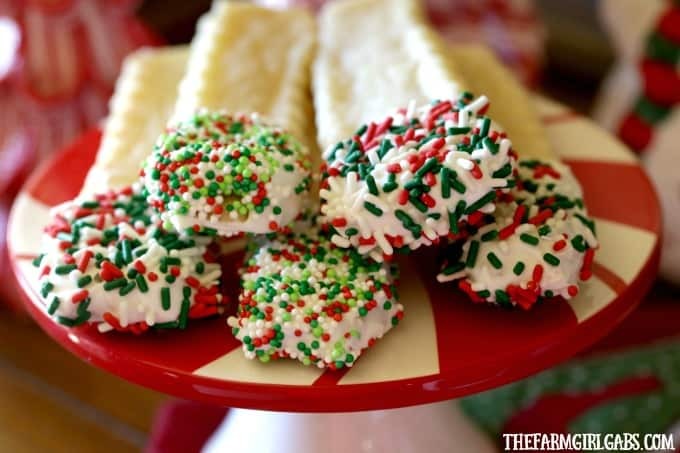 These Dipped Sugar Cookie Sticks are super simple. 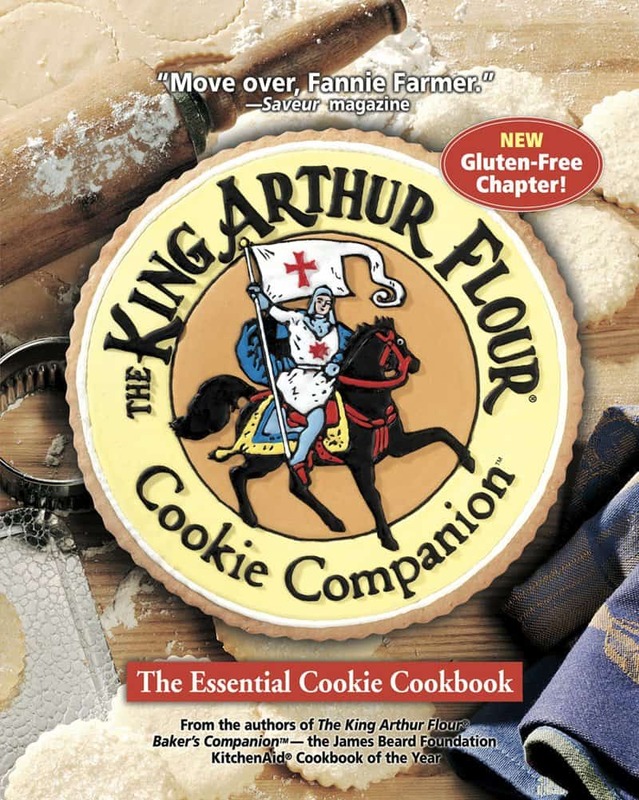 You can even cheat and use the store-bought cookie dough. I promise I won’t tell a soul. 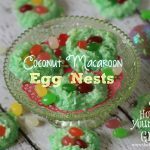 I shared my recipe below with you. I rolled out the cookie dough into a 1/4 inch thick rectangle. I used a fluted pastry wheel to cut the sticks into equal sizes. The fluted edges give these a nice decorative touch. Lay them out equally on a lined baking sheet . When they are cooled, dip them in melted white chocolate . 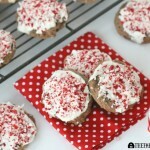 I used the white chocolate discs, but you can also use white chocolate chips too. Grab whatever Christmas sprinkles you have in your pantry and dip, dip, dip. Set them on a rack to dry. These freeze really well too! Your kids will have fun helping you make these Dipped Sugar Cookie Sticks too! 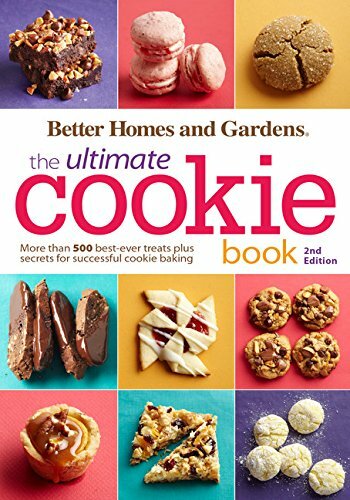 Now, to kickstart your holiday baking, here are 6 Cookie Cookbooks (boy, that’s a mouthfull) that are chock full of great recipes for you to bake. 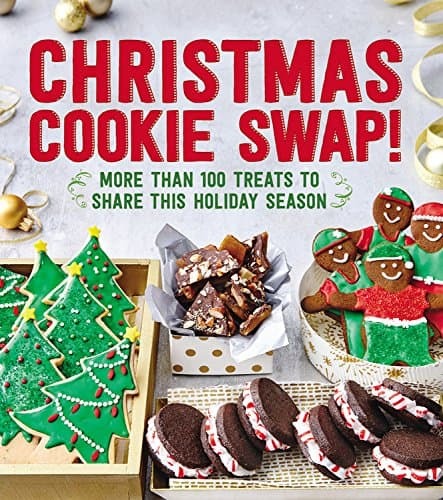 Whether you are baking for a cookie swap, to give as gifts or just for your family, these books are great resources to have. In mixing bowl, beat butter, sugar, salt, baking powder and vanilla until light and fluffy. Add the sour cream, cornstarch and half of the flour. Mix on low until incorporated. Add the remaining flour and mix just until blended. Divide dough into 2 parts. Form a disc for each. 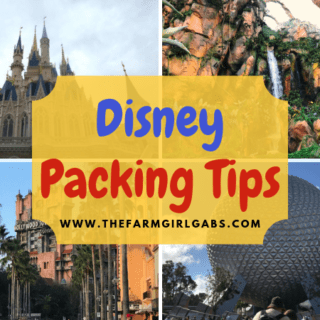 Wrap in plastic wrap and refrigerate at least 1 hour. Roll one disc into a rectangle about 1/4 inch thick. 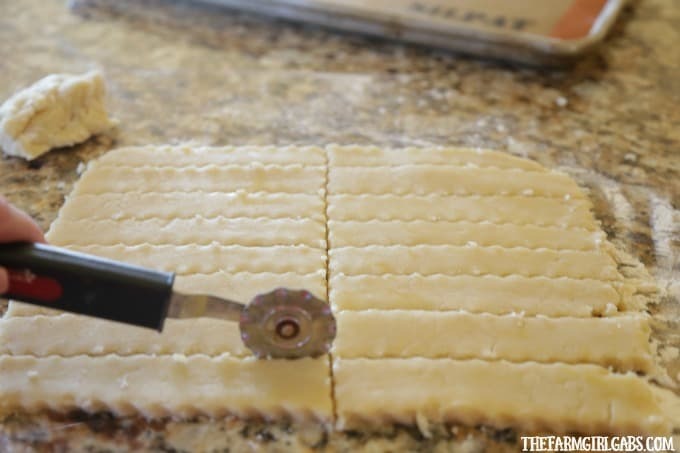 Use a pastry wheel to cut into rectangular sticks. Place on a lined baking sheet. Repeat with other piece of dough. Bake 10-12 minutes. Remove from sheet to cool. Pour white chocolate discs into a bowl. Melt white chocolate discs in the microwave. 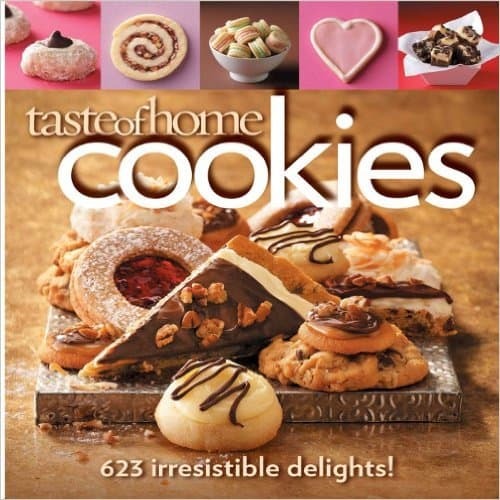 Dip edge of cookie into the melted chocolate and dip into assorted sprinkles. Place on a drying rack to set. Store in an air-tight container or freeze up to 3 months.